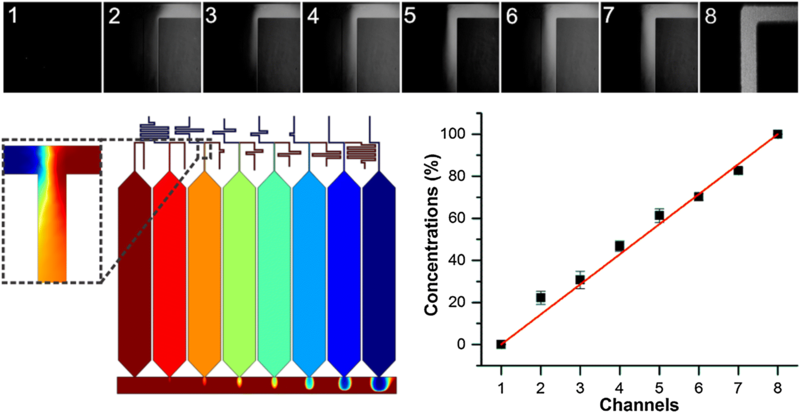 Microfluidic gradient generators have largely benefitted high-throughput analysis of cellular responses, but are required to more precisely control culture parameters such as flow-induced shear stress. Here, a novel pump-free microfluidic gradient generator was proposed to generate a shear-free microenvironment for long-term cell culture and adaptive cytoprotection analysis. The microfluidic microchip was designed with a tunable network to generate pre-defined biochemical gradients. This device employed a static pressure to drive the flow at a low flow rate of 0.2 nL s−1, which further benefited long-term cell culturing and stimulation by providing a shear-free (7.1 × 10−7 Pa) microenvironment. With the merits of pump free and shear free, this device was further used for the application used to analyze the adaptive cytoprotection behaviors of cells in response to reactive oxygen species. Our study showed that pretreatment of a sublethal dose of hydrogen peroxide significantly enhanced the tolerance of NIH 3T3 cells to lethal dose oxidative stress. 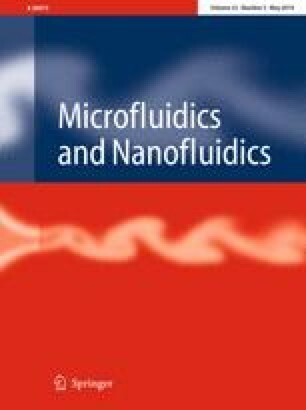 Conclusively, the results confirmed that our novel microfluidic device was a highly efficient way to analyze adaptive cytoprotection behaviors of cells with advantages of high throughput, flexibility, stability, portable and low sample consumption, by providing shear-free and biochemistry well-defined cell microenvironments even without the requirement of external setups. Xing Zhao and Xinghua Yan contributed equally to this work. The authors gratefully acknowledge the financial supports from National Natural Science Foundation of China (21475049, 31471257, 41430860 and 21275060) and National Key R&D Program of China (2016YFF0100801).